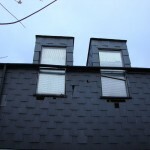 Today I went to see a 3 bedroom house in Camberwell, London. 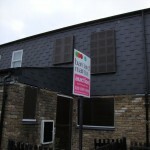 It had a guide of £170k and research suggested the resale was £230k for the property. 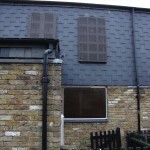 Now the appearance may be off-putting for many – but sitex shutters always make a property look worse than it actually is! As it was such a good price for a 3 bedroom in a central London location there were quite a few of us who turned up to view. When the key holder arrived there were 10 of us eagerly awaiting an internal viewing of the property. The key holder man had a huge bunch of keys – but not one opened the sitex! The neighbour upon seeing all the people clustered outside her house and hearing the noise of the key holder trying all the different keys came out to see what was happening. 10 faces dropped in disappointment and questions then followed as to when we might next be able to organise a viewing. As it happened, another neighbour (an elderly gentleman) had now come out to see what was going on. I started talking to him and explained that we had hoped to see inside the property but that the keys the auction house had did not seem to work, and that there was confusion if anybody was in the house. 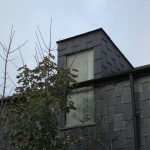 I couldn’t believe it – as all the other people trudged off disappointed they could not see anything further, I then commenced a tour with the neighbour so that I could get an idea of what the property was like inside. As he was showing me round his property we talked about the area and the auction house for sale. I then discovered the property had been empty for 8 years, had been constantly vandalised, squatted and used as a drugs den for many years. And in that moment, I realised that even if I bought the property – for a long time to come it would be known locally as a drugs den. 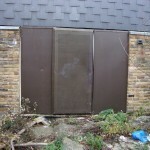 The property was hugely vulnerable as it was well known to squatters and drug users as it had been empty for so many years. Who knows who may turn up when I’m doing the works…or after the works were completed! I decided that the risk was not worth it – even if I did the works, there was a high risk that it would be broken into, vandalised, used as a squat and a drugs den again. My tour with the kind neighbour was far more insightful than just seeing the layout of the house – local knowledge is key when buying property! Today I am an Award Winning Property Blogger! Well done you for “getting the message” rather than just seeing “house the house might be”….! I bought one of those in 2009. The repossessed owners came back a week after completion and set fire to it! It just goes to show Sam, that taking that extra step give you just a little bit more information and a possible advantage.